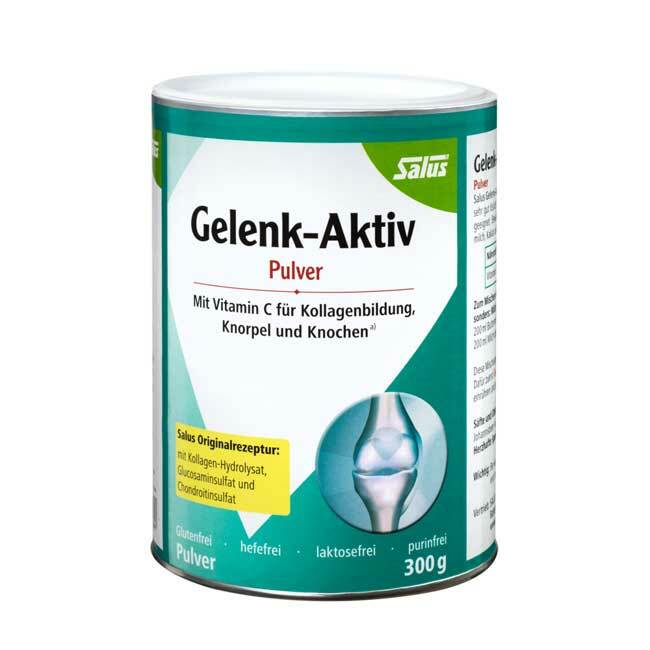 Salus joint active plus vitamin C is completely odorless and tasteless, very soluble and suitable for cold as well as warm meals and drinks (also water). Fruit juices, dairy products such as yoghurt, buttermilk, cocoa and rice pudding, as well as fruity preparations such as applesauce, have proved their worth. These mixtures are also very good in combination with cereals! To do this, first stir in joint-active collagen hydrolyzate powder into the milk product and then add the muesli. Important: For warm meals, stir the joint-active collagen hydrolyzate powder in the plate (do not boil it!). 10 g per day (dosing spoon included - one dosing spoon coated full corresponds to 10 g). Important notes: A healthy lifestyle is always important. Do not exceed recommended daily intake! Dietary supplements should not be used as a substitute for a balanced and varied diet. *) Vitamin C contributes to normal collagen formation for normal cartilage function. Composition: Collagen hydrolyzate (from beef) 94.7%, glucosamine sulfate potassium chloride (from KREBSTIERSCHALEN) 3.0%, chondroitin sulfate sodium 1.5%, ascorbic acid (vitamin C). The powder should be kept cool (5 to 25 ° C), dry and out of the reach of small children.